And, The Best Waterproof Tent You Can Buy Is…. Coleman is a household name synonymous with camping. It is rightly so as they produce some of the best camping products out there. If you are like me who favors the ease of setup, with minimal stress, you will agree this tent ticks the box. It is possible because of a continuous pole strip which allows you to slip it in one time. What more? Get more practice, and you get it all set up within 10 minutes max. In addition to regular waterproof features, it uses a patented WeatherTec system with inverted seams, corner welds and tub style flooring to keep you dry. 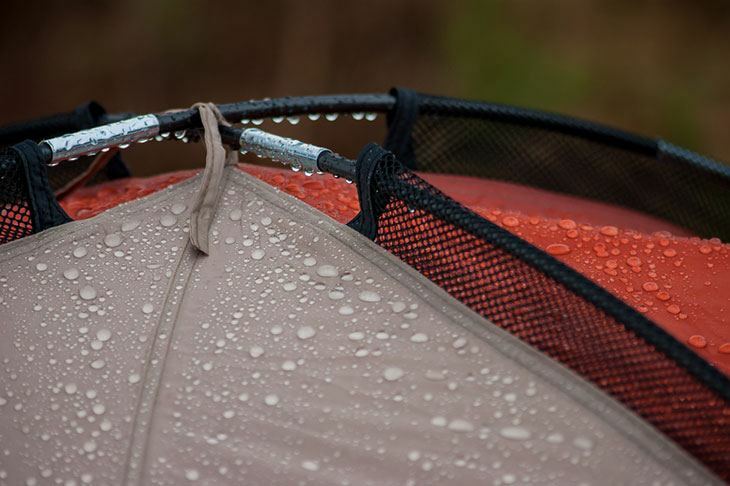 With a hooded rainfly, you can cover the window when the need arises while still having a small awning to dry your gear. The tent has a deceptively large size, at 9 X 7 feet and a 4-foot 11-inch center height, your queen-sized mattress will fit in comfortably. Do you fancy an electrified tent? There is an E-port which allows you to bring electrical power into your tent. The ALPS is another well-known camping brand. ALPS products are durable with exquisite designs. The ALPS Mountaineering Zephyr 3-Person Tent should be for two people, as fitting in 3 people in the tent makes it tight. The tent is easy to set up after a few practices; this is a big plus as you will be able to perform this operation under 5 minutes. 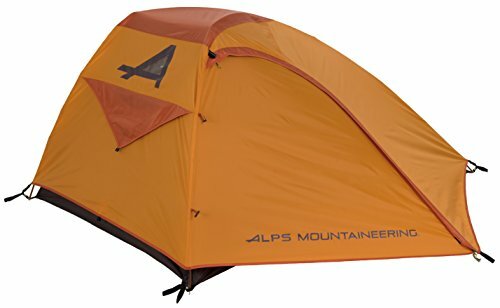 The ALPS Mountaineering Zephyr 3-Person Tent has a roofline which creates plenty of headroom space to sit up. It is fitted with two doors, getting in and out is easy without climbing over your camping partner. The upper part of the tent has a mesh so that you can have a great night sky view. The Tent’s tub body is reinforced material. It is not as robust as some other tent designs, but it is effective in keeping you dry. It comes with a rainfly which confers additional protection which extends to form a vestibule outside the two doors. You can buckle the rainfly to the tent; this is more secure than using cordage. In addition to the great features, this tent will help you get the relaxed feel of the night breeze making it a high-quality tent. The zipper is not as rugged as the other waterproof tent; you should add some beeswax for longevity. 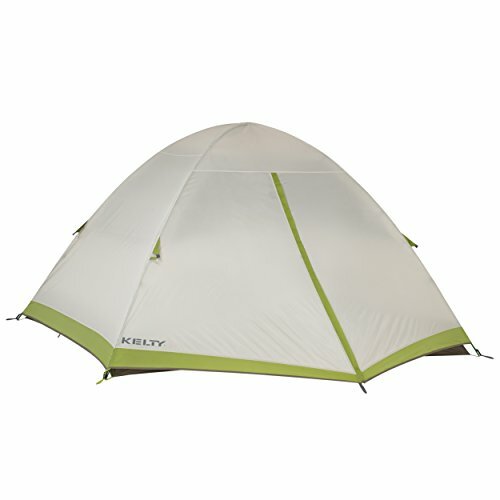 The Kelty Salida Camping and Backpacking Tent is a four-person design tent. It has a solid build which allows fitting three people super easy. However, with four campers, there will be little room for your gear. It comes with a color-coded clip which makes setting up easy at the first time of asking. The Kelty Salida Camping and Backpacking Tent have a tub floor made of durable, water-resistant materials. You are super protracted from getting wet. All seams are tapped, hence reducing the likelihood of leaks. It is suitable for use under high winds and a moderate amount of rainfall. It has a freestanding design, setting up and unpacking is easy and fast. This tent can stand alone without stakes, and using two poles you can set it up in under 5 minutes. It is by far the easiest tent to assemble and dismantle. It does not come with a footprint, and this is likely a means of driving the cost down. If you are used to the conventional storage bags on other tents, you might find the one on the Kelty Salida Camping and Backpacking Tent a little different, but it is super easy to detach and return the tent to it. It is a 3 Person tent which comes with four metal stakes and extremely easy to set up. 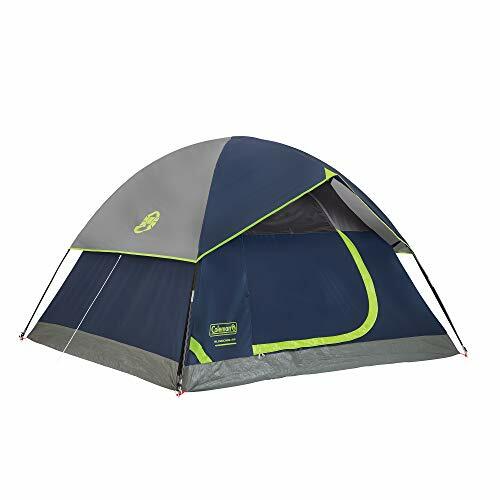 Comes with two doors located on either side of the tent, it is super easy to go in and out without disturbing your camping partner. The rainfly serves as a vestibule on either side of the tent, creating a convenient place to leave mud and dirt outside the tent. The base of the tent is waterproof. Worry about warmer evenings? Do not be! It has two large ventilation screens, designed to keep out mosquitoes while allowing plenty of air movement. More importantly, the tent interiors do not have condensation build-up and remain dry in wet conditions. The tent is light, easy to set up and holds its own during strong winds. During hot evenings, the two large ventilation screens will allow the flow of the cool evening breeze while keeping mosquitoes out. Also, if you are very tall, you would have to sleep diagonally to fit into the tent. Otherwise, it is a perfect waterproof tent for campers. 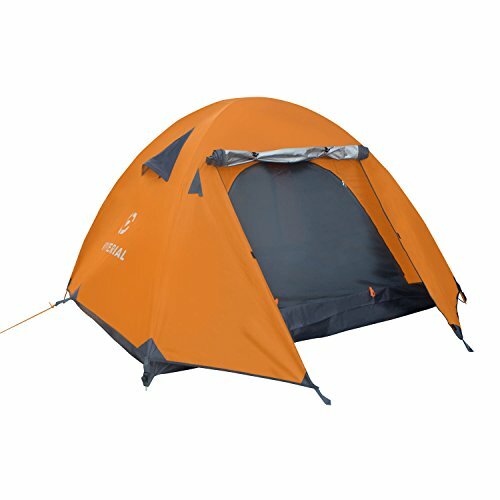 If you are looking for an extremely light tent, you found one. The MSR Hubba Hubba NX 2-Person Tent weighs under 4 pounds, free-standing and easy to set up. It takes a few minutes after a few practices. The rainfly is color-coded, and the first set up will not take long, saving you time and stress. The tent floor uses a 30D ripstop nylon, and the rainly is made up of 20D ripstop nylon. When the rainfly is set up, the MSR Hubba Hubba NX 2-Person Tent will withstand what mother nature sends its way, whether light or heavy. 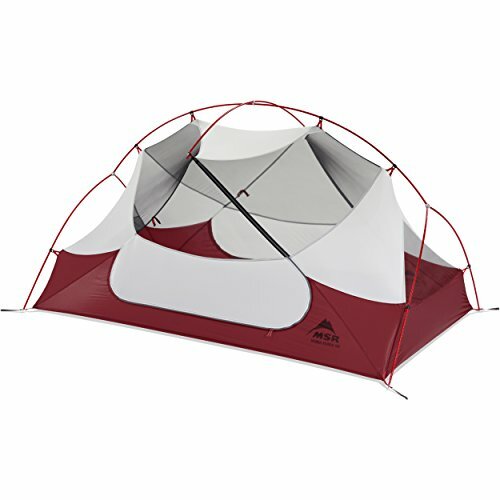 This waterproof tent also comes with two doors, and mesh panels for ventilation. You can fold up the rainfly and have it attached to the tent, providing a great view of the sky in the evening. The MSR Hubba Hubba NX 2-Person Tent comes with almost everything you need from pole system, guylines, rainfly to poles. During the first set up, you will notice the poles are straight if you discover a bent pole during subsequent setups, MSR offers a replacement. 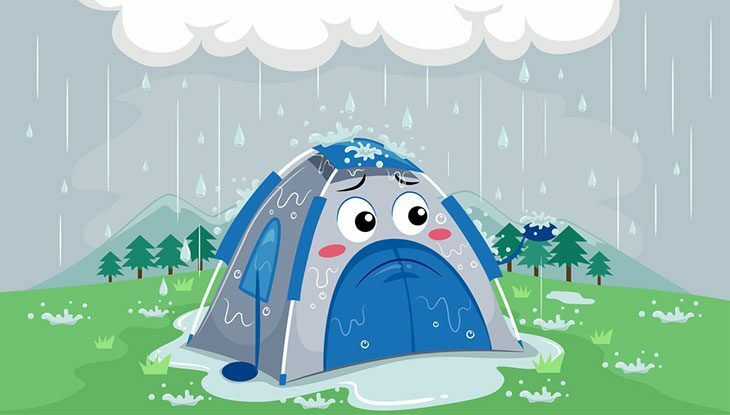 When you purchase a water-resistant tent, there is no guarantee it will not get damp inside. However, certain features will ensure you do not wake in a bagful of moisture. 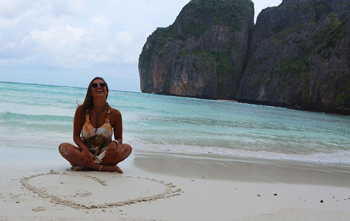 They are waterproof in the real sense, giving you that peaceful feeling at night without worry of waking in humidity. The design of a tent is critical to determine its waterproof ability. The best waterproof tents come with robust features to keep water away with additional features to improve water resistance. These modifications make the difference between a dry and a damp tent. When considering what waterproof tent to buy, find the finer details and any additional benefits it may have to make a sound buying decision. Tent shape plays a vital role in keeping the insides damp or dry. There are two common types, the dome, and the A-frame. Both tents design has their pros and cons. The A-frame, for instance, has vertical walls which allow for maximum headspace when you sit up. They, however, comes with a flat roof which may gather water at the top. Are you tall? Do you need the extra height feature in a tent? You are better off with an A-frame shape tent that has a sloped roof. The second design type, the dome, has none of the problems with water gathering at the top. It has a dome shape which allows water slides off the sides. The tents have sealed seams. These points are critical when constructing waterproof tents. Most campers have identified seams as a source of leaks during their outdoor activity. Most waterproof tents come with sealed seams from the factory. I recommend you keep a tent repair kit and an extra sealer in case your tent start to leak. Many tents come with additional technologies to ensure it is waterproof. An example of such is the bathtub floor, fitted to serve as extra protection which prevents water from seeping into the tent. When making your purchasing decision, look for a tent where the bathtub floor is several inches high. It is crucial in keeping water away when there is a blowing rain. Ensure there are no gaps between the bathtub floor and the rainfly. Lookout for tents with a seamless floor, this gives the tent greater waterproofing ability. The farther they are from the sides, the better. Additionally, check the zippers, an inverted zipper provides additional protection against leakage. Ensure you close your tent windows and doors completely. You can rub beeswax on your zippers for smooth open and close operations. 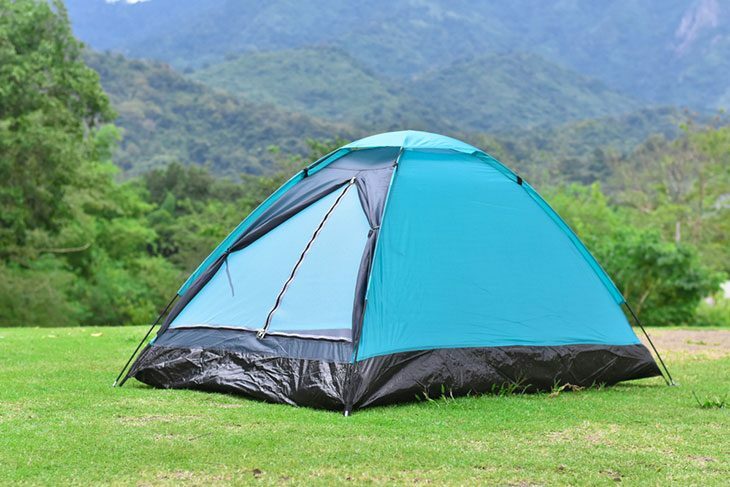 Tents are differentiated by the number of seasons they confer protection. Whatever the type, you should look out for some additional features. 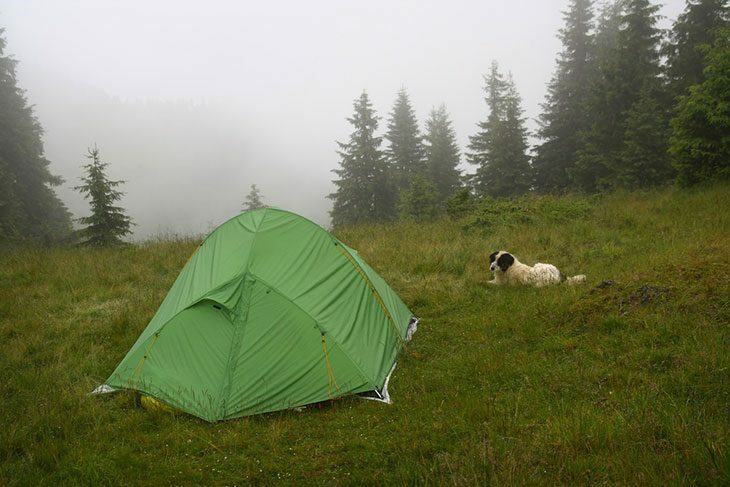 A tent describes as a 2-season tent should be used for summer camping only. They have one distinguishing feature-lot of mesh, which makes optimal rainfly design crucial. The solidity of the frame construction should influence your choice for this tent. A 3-season tent is like a 2-season model but features a heavier build to withstand strong winds and spring storms. A 4-season tent can handle wintery and snowy conditions. The tent shape is usually dome to prevent the accumulation of snow or water on the roof. It comes with less mesh to keep campers warm in cold weathers. These are the 5 of the best waterproof tents suitable for individual or a family setting. They are well constructed, comes with special features for additional waterproofing, you cannot go wrong by picking any of the above listed. I am sure you will be looking to purchase a very efficient tent that offers maximum protection and at a reasonable price. I would recommend the Coleman Sundrome 4. It is versatile, deceptively large, great design and offers protection from the weather. It represents excellent value for money, easy to set up within 15 minutes. Do you agree with my choice? Alternatively, do you think there is another of the tent as mentioned earlier deserving of the number one spot, let me have your opinions in the comment box.